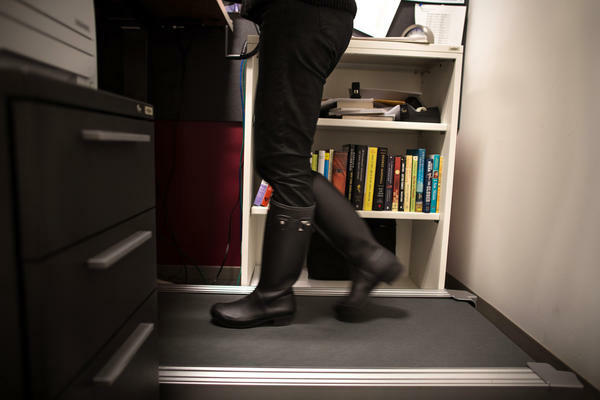 NPR senior Washington editor Beth Donovan walks on a treadmill desk in her office in Washington, D.C.
Maura Howard tries to log about 3 miles a day on a treadmill desk at Salo, a financial staffing company in Minneapolis. 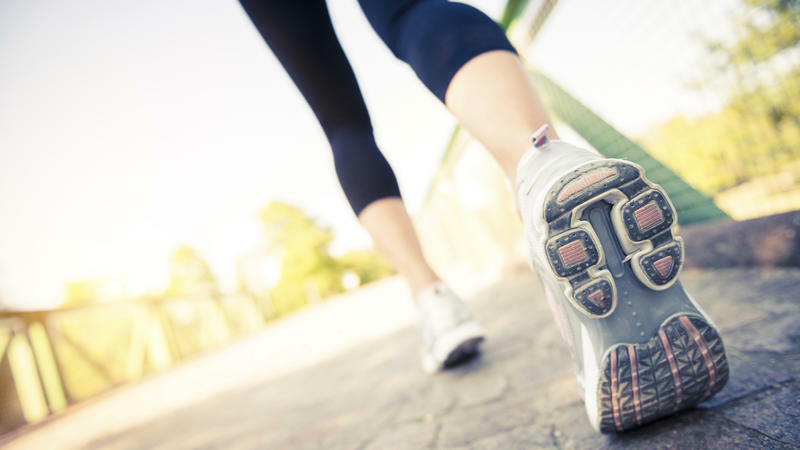 She says regular walking helps her avoid after-lunch drowsiness. First off, I need to be upfront: I have a treadmill desk. I got it about two years ago, prompted by all the studies showing the dangers of sitting all day. The idea is to get people more active and walking while working. The problem is, I don't use it. In fact, I probably only used it for a few months. I still stand all day, but I'm not walking. It turns out I'm not alone. Treadmill desks may have seen their day, according to Dr. Tim Church of the Pennington Biomedical Research Center in Baton Rouge, La. Church specializes in preventive medicine and works with companies to promote healthy activities on the job. A few years ago the treadmill desk "had a cool toy element to it," he says. "Everybody wanted one, and then when a lot of people got them they just didn't use them that much." And there's not a lot of evidence showing the benefit — or not — of using a treadmill desk. A recent small study, just 41 people, looked at whether the desks helped overweight and obese people get more active. The participants worked at a large insurance company and pretty much sat all day. Half the employees were given treadmill desks and were asked to walk on them twice a day at a leisurely pace for about 45 minutes. But the participants didn't use the treadmills as much as they were asked, according to John Schuna, an assistant professor of exercise and sports science at Oregon State University and one of the study's authors. They averaged just one 45-minute session a day instead of two. And when they did use the treadmill, they didn't burn enough calories to lose weight — their pace was too slow. Federal guidelines recommend 150 minutes of moderate to vigorous physical activity every week. That's walking about 3 miles per hour. Schuna says that's difficult on a treadmill desk — while working. If you tried to maintain that pace, "you'd likely start to perspire; some people may even start to have more labored or heavy breathing," he says, and "it's questionable how productive you could be from a work perspective." But don't be too quick to write off the treadmill desk, which costs about $1,000 to $1,500. Study participants did increase the average number of steps they took in a day by about 1,000, and Schuna says, "Something is better than nothing." If they had done a second 45-minute session or if the study had gone on longer, say six months, there may have been some weight loss, he adds. And as long as you're accumulating some physical activity, "you're still potentially gaining more health benefit than if you're sedentary all day." And there are a couple of small studies that do suggest some benefit. One study, headed by Dr. James Levine, an endocrinologist at the Mayo Clinic's campus in Scottsdale, Ariz., found that over a 12-month period participants using treadmill desks increased their daily activity and lost weight. Levine conducted another small study in 2007 at Salo, a finance, accounting and human resources staffing company in Minneapolis. This also was a very small study, just 18 people. For six months they rotated on and off treadmill desks, walking on average about three hours a day. Everyone lost weight and there were other health benefits, including lower cholesterol and triglycerides. Salo's marketing director, Maureen Sullivan, says the desks are still going strong. "I will get on if I'm on a conference call for an hour at a time," she says. "There are people in our office who are on between one to four hours, either every day or every other day." One reason the desks remain so popular, she says, is that the company was founded on principles of healthy well-being and works hard to keep that spirit throughout the day. "We have a culture of movement," Sullivan says. There's a game room, walking meetings and a "contagious" atmosphere of high energy. But the positive benefits found in the Salo study have yet to be reproduced in larger, long-term studies elsewhere. Until then, the bottom line seems to be, if you have a treadmill desk — use it. But don't forget you still have to fit about 150 minutes of moderate to vigorous exercise into your weekly routine as well. If you're not going to wear compression clothing while running, maybe you'd like to wear a suit and tie on a treadmill. 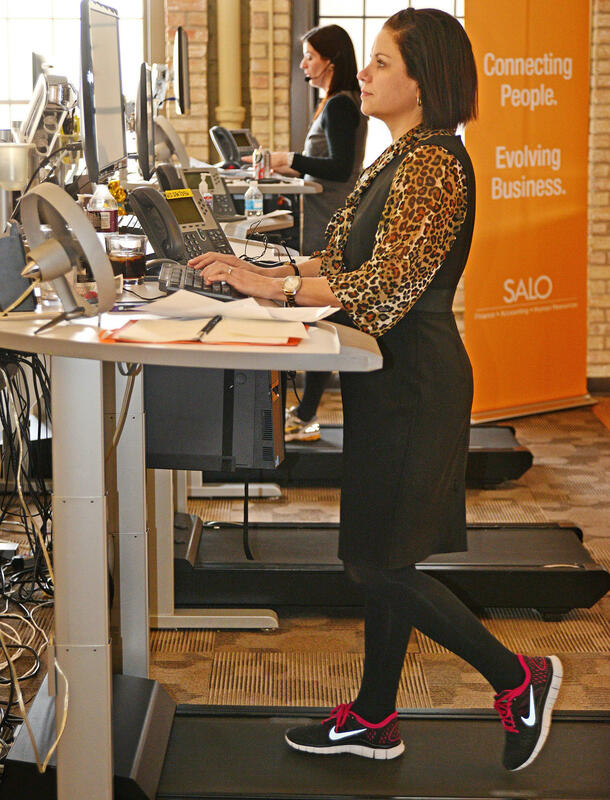 Not long ago, the treadmill desk was the hot, new thing to get desk workers more active. NPR's Patti Neighmond checks in on the trend. PATTI NEIGHMOND, BYLINE: First off, I need to be upfront; I have a treadmill desk. I got it about two years ago, and this is what it sounded like then. NEIGHMOND: And this is what it sounds like now. That's right - silence. I just don't use it anymore. In fact, I probably only used it a few months. I still stand all day, but I'm not walking, and it turns out I'm probably not alone. Dr. Tim Church specializes in preventative medicine at the Pennington Biomedical Research Center in Baton Rouge. TIM CHURCH: Treadmill desks, in some way, have kind of already seen their day. NEIGHMOND: Church works with companies to promote healthy activities on the job, and a few years ago, a treadmill desk seemed to fit the bill. CHURCH: It almost had a cool toy element to it. Everybody wanted one. And then when a lot of people got them, they just didn't use them that much. NEIGHMOND: And there's not a lot of evidence showing the benefit or not of treadmill desks. One recent, small study - just 41 people - looked at whether the desks helped overweight and obese people get more active. Half the employees were given a treadmill desk and asked to walk two times a day at a leisurely pace for about 45 minutes. One of the study researchers, John Schuna, with Oregon State University. JOHN SCHUNA: They did only use the treadmill desks about half as much as we wanted them to. NEIGHMOND: Not only did they not use it enough, they didn't burn enough calories when they did use it to lose weight. The pace was too slow. 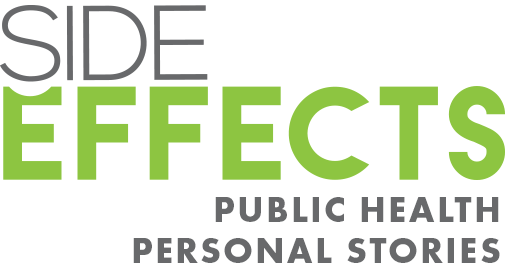 Federal guidelines recommend 150 minutes of moderate to vigorous physical activity every week. That's walking about 3 miles per hour. And Schuna says that's difficult to do on a treadmill desk while you're working. SCHUNA: The problem is if you tried to maintain that level of activity, it's sort of questionable how productive you could be from a work perspective. You'd likely start to perspire eventually and some people may even start to have a little bit more labored breathing or heavy breathing. NEIGHMOND: But Schuna says don't be too quick to write off treadmill desks. The fact is some exercise is better than nothing. And some companies have figured out how to use them in the workplace. Take the staffing firm Salo in Minneapolis. In 2007, the company was part of a Mayo Clinic study - again, very small, just 18 people. For six months, people used the desks and walked on average about three hours a day and everybody lost weight. Today, marketing director Maureen Sullivan says the desks are still going strong. RON SULLIVAN: I will get on if I'm on a conference call for an hour at a time, but there are people in our office who are on there between one to four hours either every day or every other day. NEIGHMOND: Sullivan says the desks are a part of a very active culture at the company. There's also a game room and walking meetings. So the bottom line seems to be if you have a treadmill desk, use it. But don't forget you still have to fit about 150 minutes of moderate to vigorous exercise into your weekly routine. Patti Neighmond, NPR News. Transcript provided by NPR, Copyright NPR. As part of the “Help Yourself” series, Sandy Roob investigates the effects of treadmills for those working in a sedentary environment. Kate Shoup is an Indianapolis-based freelance writer and editor who doesn’t like to exercise. But after setting up a treadmill in her office, she walks up to eight and a half miles a day while writing, researching and Facebooking. Although the initial investment was hefty, Shoup says getting a built-in workout every day is a great investment in her overall health. You probably know the feeling of waking up sore and wobbly-legged the day after a long hike or intense workout. There’s a name for that: delayed onset muscle soreness, or DOMS – and there are things you can do to stop it. "Going to medical school, as you probably know, is a grind. It's hard to find time to sleep and to eat, and much less, get good exercise. But my next guest found the time, and then some. We'll let her explain what happened next. Dr. Susanna Carter welcome to Sound Medicine," says host Barbara Lewis. Lewis: You ran your first triathlon during your medical residency? Carter: I sure did. I was getting into something that I didn't know. Lots of high-performance athletes use interval training to maximize their fitness. From runners to cyclists to boot-camp fanatics the strategy involves alternating between periods of high-intensity and lower-intensity aerobic training. Now, a study published in the journal Diabetologia finds that interval training may help the millions of people with Type 2 diabetes and prediabetes who are trying to control their blood sugar.